Romantic and delicate, this season's collection encapsulates the glorious beauty of an awakening garden. 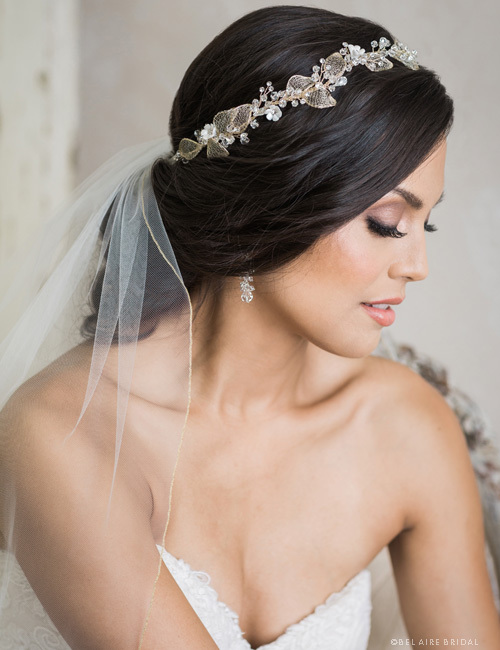 Featuring dewdrop-strewn hair garlands and combs bursting with lustrous sparkle, this lovely collection incorporates intricate silver filigree, shimmering champagne and clear crystals, pretty freshwater pearls, and gold metallic flowers. Soft petal combs and woven tie headbands evoke the delicate radiance of a spring morning. Swirling pearl and rhinestone clip.